In a new report the ‘Teen Mom 2’ star’s son Jace has been seriously affected by the domestic violence and outrageous arguments that have been going down between Jenelle and fiance(?) Nathan Griffith. The two separated right before a violent fight that lead to Nathan’s arrest. The source goes on to say that Jace isn’t doing his schoolwork and has been getting into fights. Jenelle is currently trying to regain custody of her son Jace, so it’s hard to say what will happen if she gets back together with Nathan. She’s due back in court in April. Next Next post: Chelsea Houska Shares the Secret to Finding a Good Man! Wait….what? 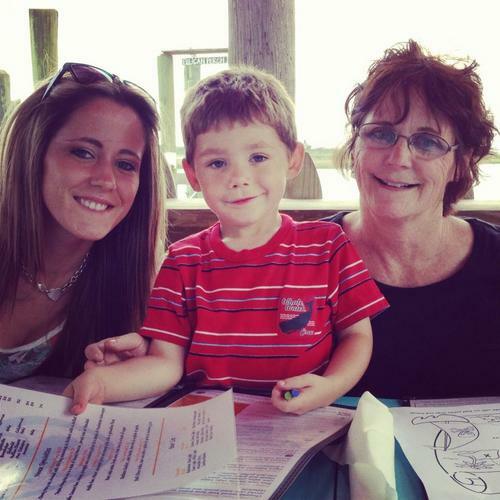 But Jenelle always led me to believe that everything was perfect and that her life with Nathan was stable and great. Do you mean to tell me that she was lying the whole time? That can’t be right. I thought Jenelle and Nathan were engaged. When did they call off the engagement?